Kenneth Richard presents a list of 250 peer-reviewed papers published in 2015 supporting the skeptical position that natural factors are in fact a dominant climate driver, and the publishing pace seems to be accelerating with nearly 50 papers already published in 2016 showing that CO2 climate science is exaggerated and that natural factors are indeed dominant climate forces that will not be tamed by man emitting a trace gas. Polar bears are doing just fine thank you despite all of the alarmist nonsense from 10-15 years ago about their imminent demise due to melting sea ice around the north pole. A quick recap for anybody who missed my first article. My first article can be found here. I have developed a new technique for analysing global warming (and other things). It is called Multi Trend Analysis, or MTA. It analyses the data in a time interval, by calculating the trend between every possible pair of points in the interval. The trend includes all of the data points between each pair of points as well. This can involve a lot of trends. To analyse the interval [January 1975 to December 1999] involves 16,920 trends. A trend is basically a linear regression. 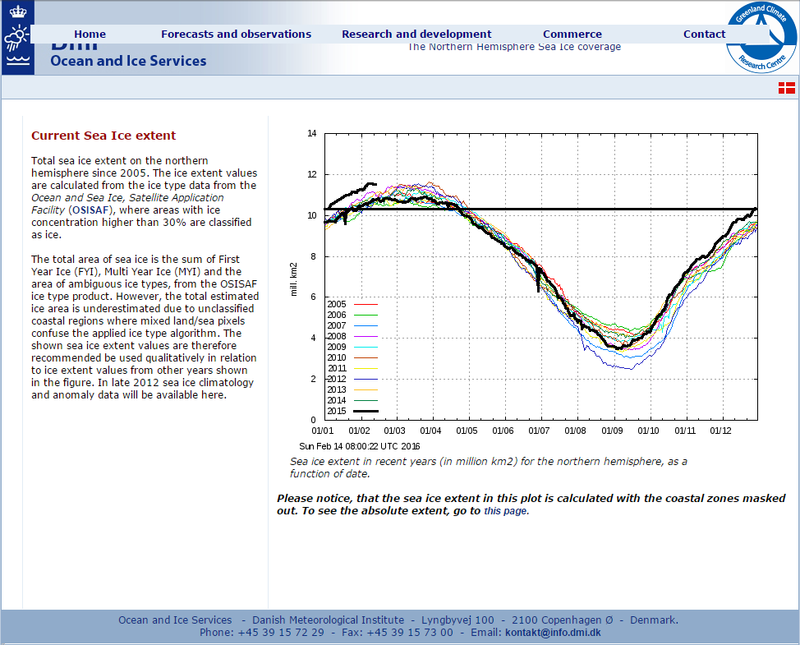 Until a few days ago, Denmark’s Meteorologiske Institut (DMI) graphed Arctic sea ice extent two ways. They had a graph comparing the current year to the preceding ten years’ “30%+ concentration” Arctic sea ice extent, with coastal zones masked out, by graphing each year in a different color on the same horizontal timescale. They also had (and still have) a graph comparing the current year to the preceding four years’ “15%+ concentration” Arctic sea ice extent (and I don’t know how they handle coastal zones in that version). In both graphs, the current (partial) year is plotted with a heavier black line. 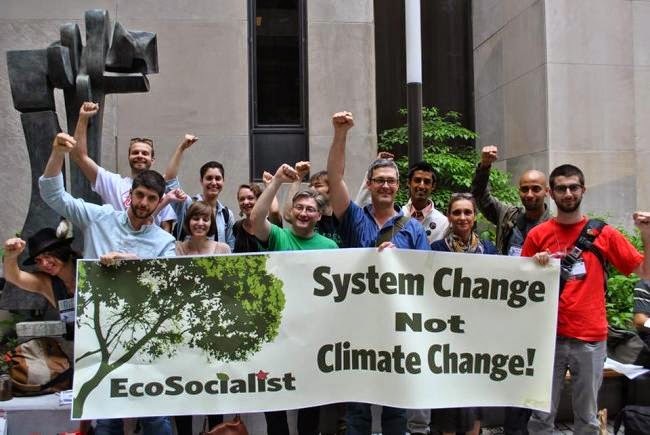 Author Jonathan CohlerPosted on February 22, 2016 February 22, 2016 Leave a comment on Are Environmentalism and Global Warming Effectively Religious Socialism?